The original transfer pricing rules introduced in 1999 neither recognised the OECD Transfer Pricing Guidelines nor allowed for Advance Pricing Agreements (APAs) causing considerable consternation for multinational companies doing business there and giving rise to a number of double taxation issues that would have directly affected investment. – There are now five primary methods. ‘Comparable Profitability’ and ‘Profit Split’ have been added to the previous three methods, ‘Comparable Uncontrolled Price’ (CUP), ‘Resale Minus’ and ‘Cost Plus’, but if none of the methods are appropriate, the market price of a one-off transaction may be determined through an independent appraisal.– Related parties include – somewhat surprisingly – an ownership threshold of only 25 percent, although the courts retain the right to treat parties as related, irrespective of ownership levels. – All cross-border transactions are included but, for those transactions that involve goods traded on commodity markets, only where values exceed RUB 60m. A similar amount applies to transactions with residents of jurisdictions on the Ministry of Finance’s blacklist. – Domestic transactions are caught if the aggregate annual income from connected parties exceeds RUB 3.2bn in 2012, RUB 2bn in 2013 and RUB 1bn for 2014 and onwards. The rules will also be applied if the transaction volume exceeds RUB 60m per calendar year and one of the parties does not pay profits tax; one of the parties is a resident of a special economic zone (2014 onwards); mineral resources are involved; or where the volume exceeds RUB 100m per calendar year and one of the parties pays unified tax on imputed income or unified agricultural tax. – Upward only adjustments to the tax base are applicable unless the adjustment arises through a transfer pricing audit. – For comparability purposes only Russian information is to be used. Data on foreign corporations can only be used if Russian sources are not available; hence, European results may be irrelevant. – From 2014, a penalty of 20 percent of additional tax payable will be applied, rising further to 40 percent in 2017 if there is no documentation. Companies must maintain specific documentation if the total volume with the same connected party exceeds RUB 100m in 2012, falling to RUB 80m for 2013. No monetary limit applies thereafter. Information on all controlled transactions must be filed by the company by 20th May of the following year. For the first time, APAs will also be allowed, but only for those major companies paying annual tax in excess of RUB 1bn or with annual revenue/assets exceeding RUB 20bn. The tax authorities will only have six to nine months to review an application. Once granted it applies for three years with the taxpayer’s option of extending it for a further two years. Multinational companies will welcome the fact that the new rules answer many of the criticisms of the previous rules and may also alleviate certain double taxation issues, but there remain some concerns. For instance, there is no actual law on consolidated taxpayer groups; the courts can ignore ownership tests, comparability must only be based on Russian companies, and from 2014 all companies will have to maintain documentation irrespective of the size of transaction. With a more documented approach, though, the risk of audits and tax authority challenges will undoubtedly increase. 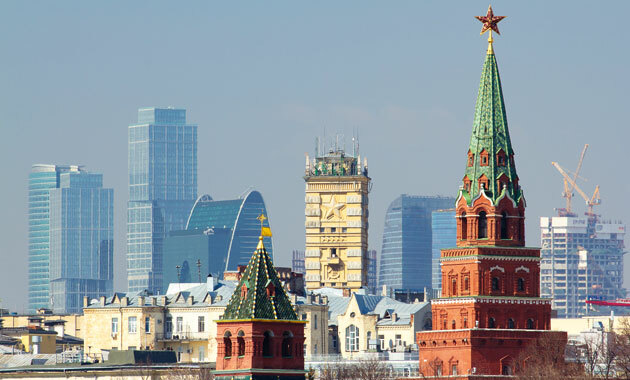 Multinational companies will be watching developments carefully and those operating in Russia should consider whether their global pricing policies would be acceptable or would need tailoring for use in Russia. Could 2015 see Putin knocked off his perch?